Steve was interested in computers and technology back when the Commodore 64 was newly released. Moving forward, Steve learned several programming languages and developed software called LYTELYNE that sold all over the world. His software received a ‘highly recommended’ from CADalyst Magazine, September 1994. Steve spent several years in the deep bush of Uganda, Africa, helping the locals rebuild their lives after the recent civil war. Steve’s job was to maintain the origination’s excavation and farm equipment, and small and large vehicles, which he also operated to help build several homes and a runway. Back in America, Steve established Steve Nyhof Enterprises, Inc. in 1998, providing home design services, and later building million dollar homes managed by computer software and technology he developed himself years ahead of it’s time. After the turndown in the economy, Steve turned his attention to the Internet where he helped in the development of numerous business systems for several companies. 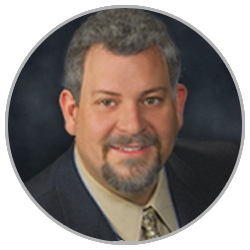 Steve brings more than 30 years of experience in technology development and administration management to Xurli. Steve has been married for more than 27 years and has three wonderful children. He has also found inspiration in providing encouragement to men who lost their way, and even their marriages and families, in a safe environment under the leadership of Higher Ground Foundation. You can learn more about Steve on his Facebook and linkedin profile pages.